Inside Storey: Triumph of the Tomato! 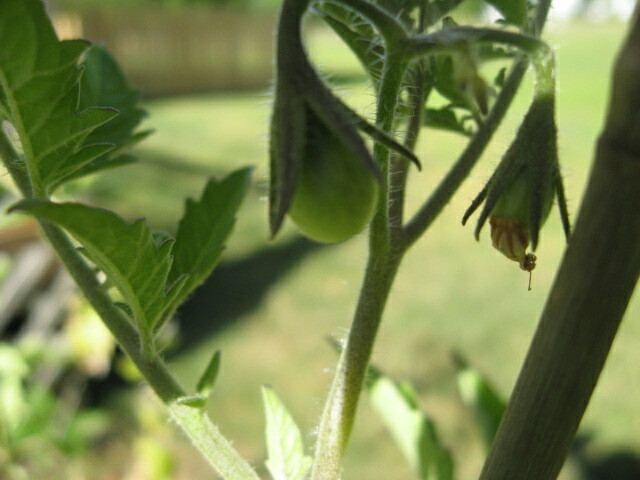 Tomatoes!!! He made tomatoes! Despite a water ban in our area that doesn't allow sprinklers or watering during the daytime hours, he has gone out every night at dusk to sprinkle them with water and take new pictures of the little beauties. Cross your fingers: by this weekend, we may be making cherry tomato salsa. Kudos to those who have faith in the things that grow.